You may remember that I was extremely late in getting my planters going this summer. Since the potatoe vine died with the first frost in September I was forced to update the planters for the fall season. A simple combination of pumpkins and guards around the still healthy ornamental grass had us ready for Halloween. Then shortly after halloween (like the next day) the pumpkins froze. Time to winterize the planters. 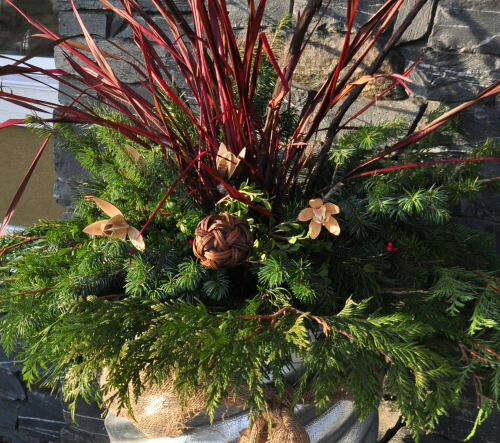 The ornamental grasses, although dead, were still standing up and I just couldn't seem to give them the old heave hoe so I decided to include them in my winter planters. They would act as a good filler but just needed a little more color to them. A light dusting with Krylon's Cherry Red spray paint still left them with their variegated color but added a bit of cheer. After they had dried the pots were then taken back to their culvert stands where I filled them in with cedar, spruce and fir boughs collected by my mother at out family cabin. Thanks Mom. Using different types of greenery gave me some great, simple, tone on tone texture. Once the ground is blanketed with snow they will really stand out. Natural and free. You can't beat that. 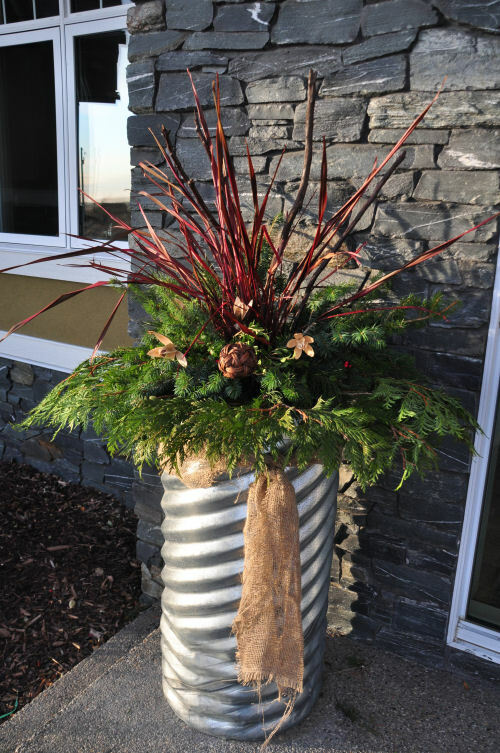 Update: The culvert planters came from my friend but they can be purchased in various sizes from any farm and ranch store. UFA, and Country Living are a few options in my area that carry them. i need all the tips i can get, my poor plants!! Where did you find the culverts to purchase? 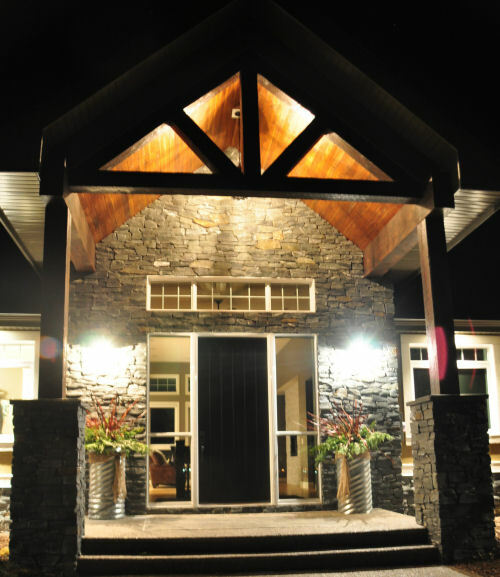 Your entryway is drop dead gorgeous! 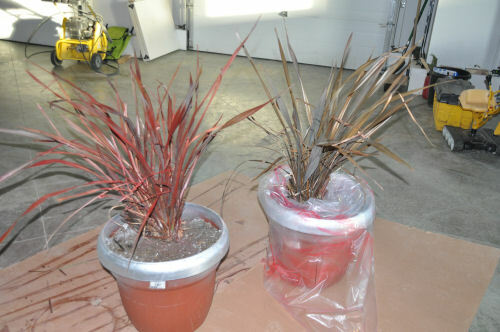 You were about to lose me when I saw the first picture of your painted dead grasses, but it works! Looks great with the evergreens! Very cool!! They look awesome! X one off the Winter List!! !